The automaker is developing ambitious software to boost urban connectivity and companies’ revenue while reducing pollution and congestion. Trouble is, the best way to profit from this grand city plan is to make and sell lots of self-driving cars. That’s where Ford lags rival GM. Jim Hackett, CEO of Ford Motor Company, speaks at CES in Las Vegas, Nevada, U.S. January 9, 2018. 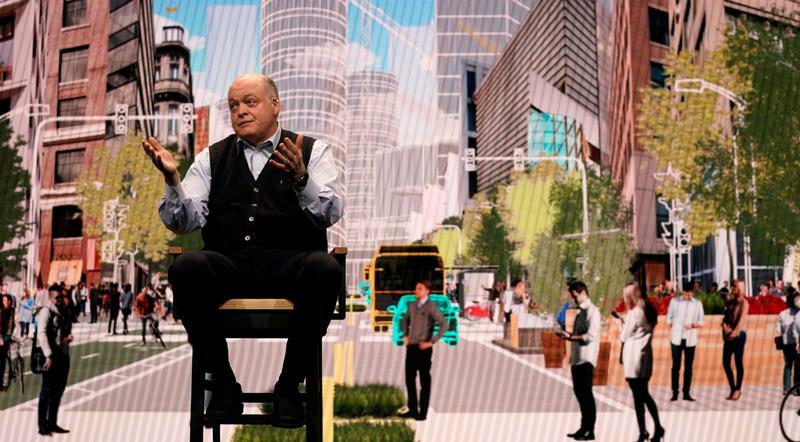 Ford Motor Chief Executive Jim Hackett on Jan. 9 unveiled the company’s plans to integrate autonomous vehicles into technology it is developing to create “Living Cities.” The automaker is working on this project with Autonomic, a startup it took a stake in last year. Speaking at the Consumer Electronics Show in Las Vegas, Hackett and fellow executives outlined how its Transport Mobility Cloud would provide an open-source system allowing all technology used by individuals and businesses to communicate with each other. It can digest and process in real time all manner of data including route mapping, vehicle connectivity and payment processing. It would also give cities the ability to manage traffic flow more effectively. Ford intends to conduct a pilot program with a city it expects to name in the coming weeks.